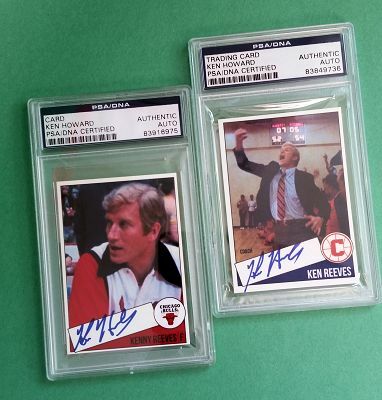 When I first started making my custom cards my main goal was to get on card autographs of the cast of The White Shadow, my all-time favorite television show. If you're reading this and are unfamiliar with the show it was produced by Bruce Paltrow and aired on CBS from 1978 to 1981. 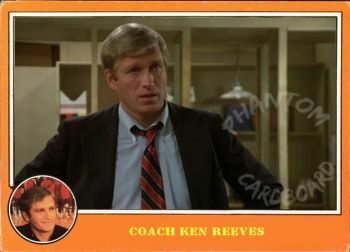 It starred Ken Howard as a retired NBA player that takes a job at an intercity Los Angeles high school as their basketball coach. It was a groundbreaking show in that it was the first to feature a predominately minority cast and it dealt with real societal issues that had seldom been broached prior. It predates me a bit, but in the early '00s I happen to catch it on ESPN Classics and it was love at first watch. Since no cards existed I decided to make some of my own. I'd never really done this before. The design is inspired by the 1985 Topps baseball card set, as it was pretty simple to reproduce. I also like the fact that I could fill the team name block white to create a perfect autograph box. 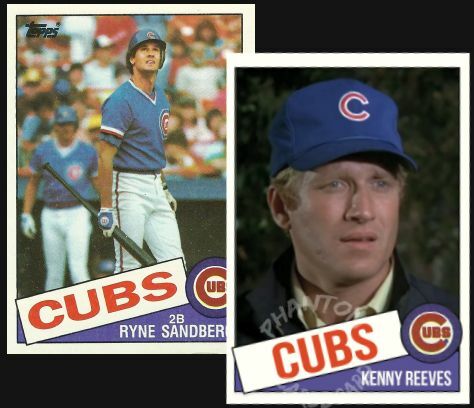 I made three "Ken Reeves" cards. One as a Chicago Bull, the NBA team Ken Reeves was drafted by. One as a Chicago Cub, due to the character frequently sporting the cap. 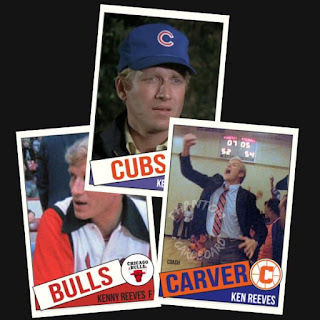 And one as the coach of Carver High. Carver didn't really have a logo, so I had to create one. I was able to get these signed by Mr. Howard in 2015. I started to design a White Shadow set and was about to send Mr. Howard a card from that set right before he passed away in March of this year.